The Saracens Rugby Camp is back at Thanet Wanderers this coming half term. 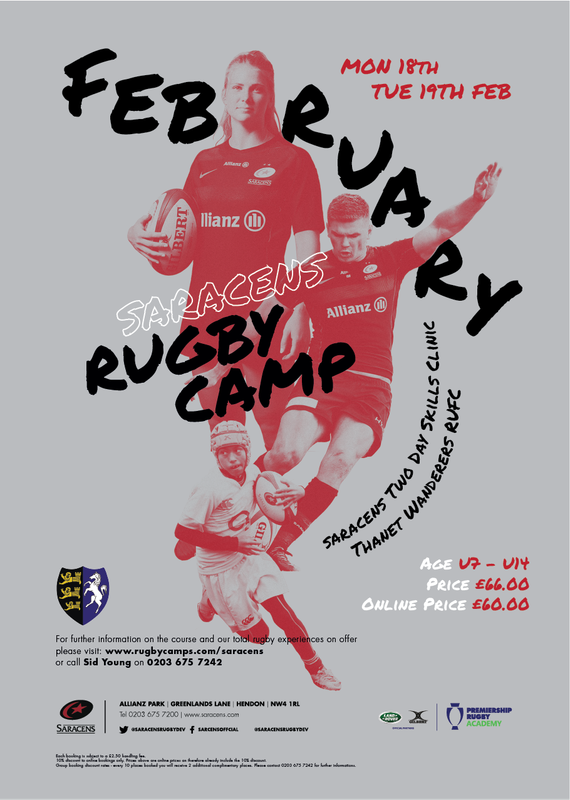 The Saracens Rugby Camp Programme is aimed at U7 – U14 boys and girls playing age-grades and provides organised, educational, inclusive and structured activities. The programme is led by experienced, qualified and award winning coaches from the Saracens Rugby Development team. The camp will run from 9.45 to 15.15 over two days. The cost is £60.00 (inc Vat) plus a £2.50 handling charge.